Big names such as Lord Saatchi and Cilla Snowball are appearing on a number of London outdoor sites. 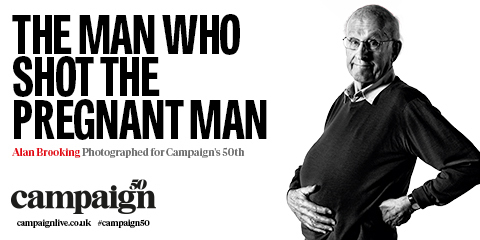 Portraits of adland's big achievers, specially commissioned for Campaign's 50th-anniversary issue, are appearing on digital and poster out-of-home sites around London. Lord Saatchi, Dame Cilla Snowball and Trevor Robinson are among those who can be spotted on screens at major rail stations such as Victoria and Waterloo and in areas including Old Street and Tottenham Court Road. Campaign snapper Colin Stout took the portraits of Snowball, Robinson, Alan Brooking, Vicki Maguire and Keith Weed. Andrew Shaylor pictured Chris Wilkins and the duo of Saatchi and Moray MacLennan. 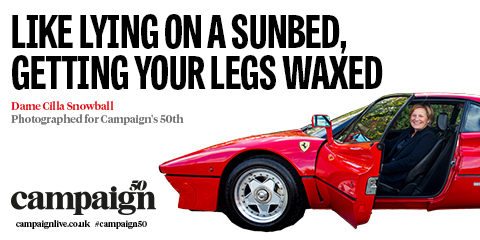 Claire Beale, Campaign’s global editor-in-chief, said: "Fifty years ago, Campaign was a London brand focused on the business of creative communications in Britain. Now, it’s a global platform with teams around the world covering the international industry, as well as local creative centres. But London remains our headquarters and it’s wonderful to be able to celebrate our anniversary by making a real splash in the capital." David McEvoy, marketing director at JCDecaux UK, said: "JCDecaux is proud to support Campaign’s 50th anniversary with a campaign that pays tribute to the importance of big creative ideas – at a time when brand-building is even more relevant than ever." 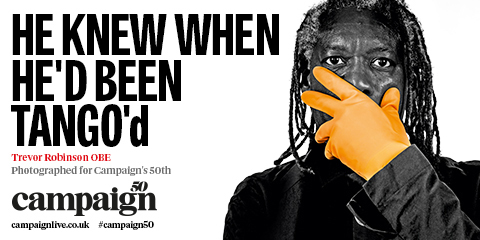 Campaign's 50th-anniversary issue launches on 10 October. Which agencies produced the best ads of the past 50 years?